Humpty Dumpty, Gold, & Entropy: Why This Won't End Well! Humpty Dumpty, Gold, & Entropy: Why This Won’t End Well! 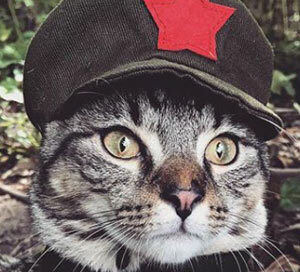 Dear Chairman Meow, Is gold real money? – Janet Y., Washington, D.C.
Ah, thank you for your question, Janet. 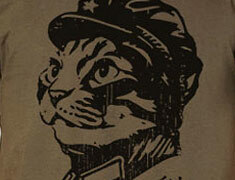 Chairman Meow is a very knowledgeable and observant cat with a healthy distrust for human governments. Allow him to teach you about a concept called, “entropy,” that is pervasive in our world, and tell you why it matters to your savings so that you may always provide a warm home and salmon treats for your kitty. Entropy is the tendency of systems to move from order to disorder. Entropy is all around us. For examples of entropy, watch an ice cube melt in hot tea, or observe a burning campfire deteriorate into ash. Chairman Meow is reminded of the movie Jurassic Park. All of the scary animals are safe in their cages, until the obese, greedy, human turns off the security system for his own financial gain. 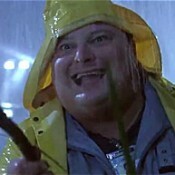 The park quickly falls into disorder as the dinosaurs break out of their cages and start eating people. Then they scatter throughout the jungle (with full bellies) and the surviving humans are left wondering if they were ever really in control. 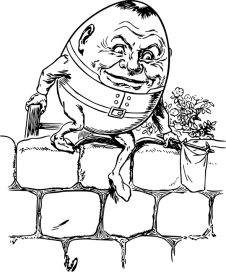 After entropy takes hold, it can’t be reversed, and returning a system to its previous state of order (dinosaurs in cages) becomes difficult or impossible. You see, the corpulent, anthropomorphic egg fell off the wall, and he landed with a sickening splat. He made a disorderly mess on the ground, and could not be reassembled, even by the most powerful figures (all the king’s horses and all the king’s men) in the land. So, allow all-knowing Leader Chairman Meow explain how this relates to your money. A system of currency (like the dollar or the Japanese Yen) not tethered to gold is subject to the laws of entropy; like a bike left outside in the rain, or a giant egg-man perched precariously on a wall. You see, when currency is not anchored to something of intrinsic value, it gradually deteriorates and falls into disorder because of entropic forces acting upon it. While these entropic forces change over centuries, today they involve currency devaluation, interest rate manipulation, and stimulus efforts. Just read today’s economic headlines in the news and you’ll see entropy at work. But, Why Is Gold Money? OMG! Is that real gold? 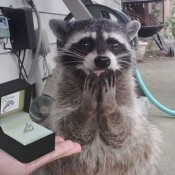 Gold and silver have what is called, “intrinsic value” which means that humans and raccoons will always believe they are precious, and worth hoarding. Under a gold standard, paper money was created because it was more convenient than carrying around actual gold. It was simply an IOU that could be redeemed for actual gold or silver at any time. Gold is ideal as hard money because of its properties. Because of this intrinsic value and stability, gold and silver have served as the foundation of money for thousands of years. 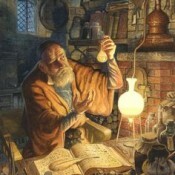 A New Science of Alchemy? However, if money couldn’t be created from base metals, then perhaps it could be created from paper, or even by computers? 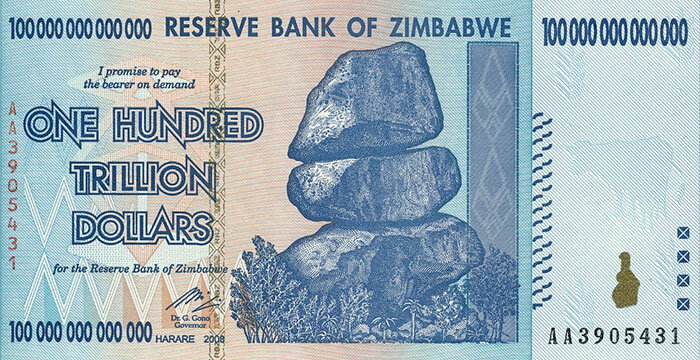 This “money” not backed by gold is called “fiat” currency, and it’s doomed to fail every time. History is littered with attempts to create money backed only by faith, but it always ends badly, usually with chaos and war. A couple of well-known examples include when France severed the tie between gold and the French currency, leading directly to the French Revolution, and people “losing their heads” in the guillotine over inflation. Or, Janet, consider when Germany lost WWI and suspended the gold standard. 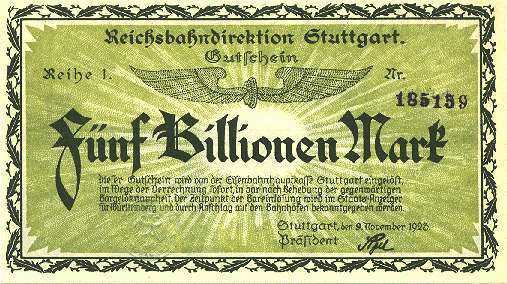 Their paper “marks” soon became worthless as a result of hyperinflation due to their crushing debt, leading to the rise of Hitler. In 1971 Richard Nixon formally took the U.S. off the gold standard, replacing the dollar’s tether to precious metals with a foundation of nothing but faith and trust in the U.S. government. That’s also the year that Disney World opened to the public, charging $3.50 per ticket. Today that same 1-day park ticket will cost you over $100. Do you see where wise leader Chairman Meow is going with this, Janet? You might say that August 15th, 1971 was the birthday of the monetary “Humpty Dumpty” we depend on today. Fiat currency rocks! Wait, that looks unstable! Don’t even get me started on African currencies! look… It’s $20T in government debt! Did president Nixon and the Federal Reserve succeed where alchemists had failed for centuries? Will Bitcoin become “gold 2.0,” as the Winklevoss twins have claimed? Unless for the first time in 3000+ years this time is different, we must assume that alchemy fail yet again, because history tells us that “belief” is never enough to support a currency. In fact, perhaps an egg on a wall is a good metaphor for where we find our monetary system today. Even though the ability to create limitless debt has brought us growth, and even lifted us out of financial crisis, humanity will eventually learn that it is still subject to the laws of entropy and gravity. So, Janet, when debt and stimulus finally reach their limits and Humpty falls, will all the king’s horses and all the king’s men be able to put Humpty back together again? 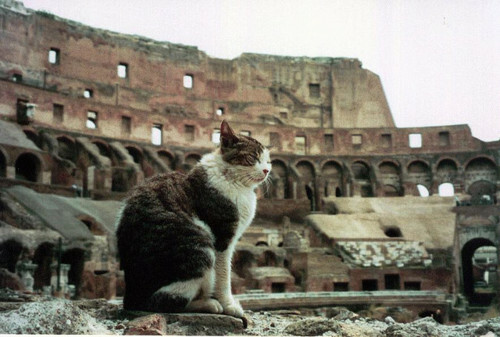 A Post-apocalyptic Future of Cat World-Rule? This entry was posted in chairman meow wisdom and tagged alchemy, debt, economy, entropy, gold, humpty dumpty, jurassic park, money on January 17, 2017 by admin. Did Martha Washington Name Her Cat After Alexander Hamilton? Look for coupons, promo codes, and free shipping! Featured offer: 7 days free from match.com! Help the kitties by using a coupon; We have donated over $1000 to cat rescue so far!